Well, my days of counting grid boxes in Silhouette Studio are over!! 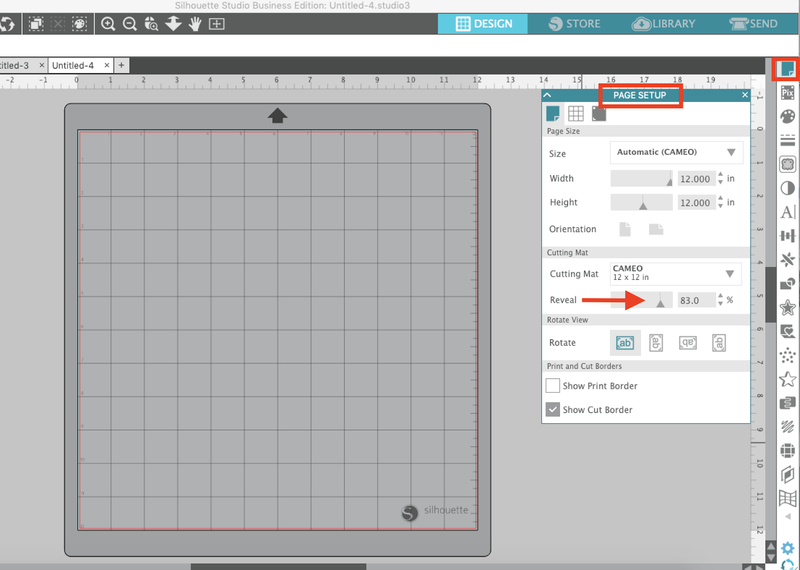 The grid boxes on the virtual mat are super helpful so you can correctly place material on the cutting mat in the same boxes where your design is in Silhouette Studio. Granted, they could make them a little bigger...but they're there!! 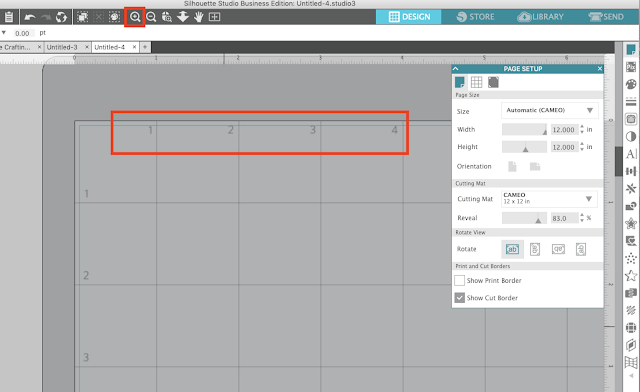 So if you're working in Silhouette Studio and you don't have the grid lines revealed this is what you're work space looks like. Just plain ol' white. When it's time for lining things up you can reveal the grid lines by sliding over the Reveal bar in the Page Set Up panel to reveal them on the cutting mat. The boxes correlate perfectly with Silhouette cutting mat...each square on both the mat and the virtual mat is one square inch. 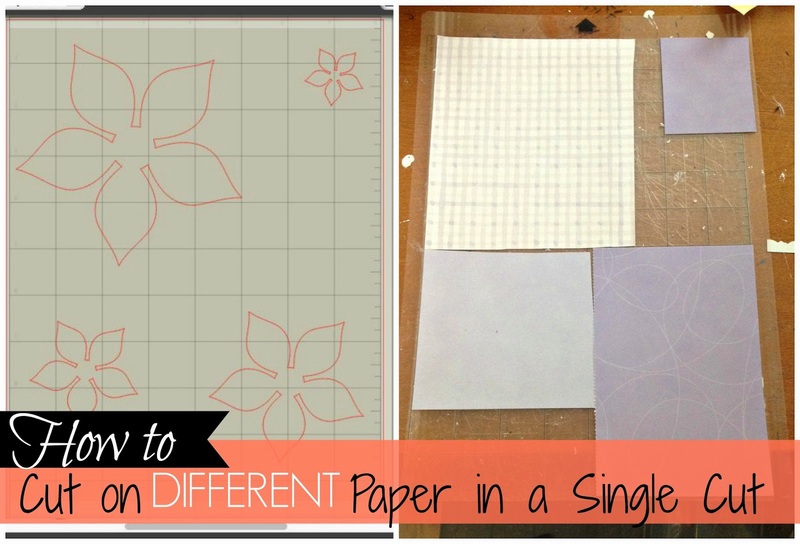 If you have a project that requires you cut several different colors of the same type of material you can cut them all at once, but you have to properly line up the material on your mat. The material has to be covering the exact same squares as the design in Studio or you'll end up missing the material when you cut. These itty bitty numbers make it much faster and eliminate the need to keep counting and double checking that the boxes are properly matched up when placing your material on the mat! Thanks for the tip.......better late than never. Love the idea of no more counting! I never tried the "reveal" option, and now I can see through the page to see the grid and the numbers. This is going to be so helpful. Thank you! Why does the screen have to get so dark to reveal the numbers? It makes it very difficult to see! Thank-you! 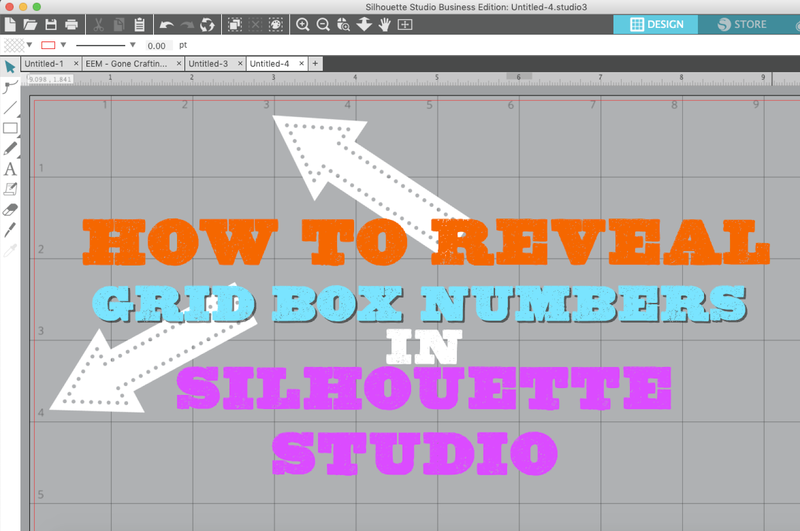 Great tutorial, I have wondered why there were no numbers on the Silhouette grid. In the past I just manually counted the squares. This is so much easier. My icons across the top right are not the same as yours. I do not have a 'page setting' icon. I have updated my Silhouette Cameo and it says that I have the most current version. Any suggestions? Thank you so much, Monique! I was playing around with the Reveal and it looked like it was just making the mat a darker shade. I didn't realize the numbers were showing up. Wow! I knew this had to exist!! Thank you, thank you! Oooooh!!!!! Thank you SO much!!!!! This is so fabulous!! I count and re-count all the time! Actually, they could make ALL the light blue darker, also. I had found these numbers, but agreed, they are very faded out. Thanks for posting. I guess I am just stupid. When I zoom my mat no numbers. What am I doing wrong. HOw can you make it stay like that Every time u go back the mat solid white again I hate that!! GREAT!!!!!!!!. THANKS. 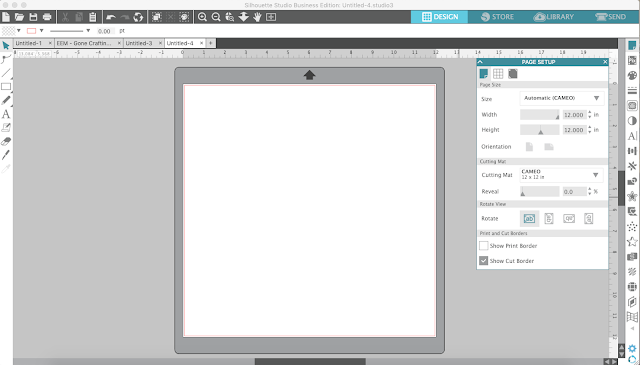 MELISSA I SEE IN YOUR SCREEN THAT YOU HAVE RULERS UP AND RIGHT SIDE, HOW CAN I SHOW THEM IN MY SCREEN? IT WOULD BE VERY HELPFULL FOR ME. THANKS SO MUCH. ANA. OMG! Thank you so much! I always had to count and would end up wasting material if I didn't do it just right! You are so awesome!